Sometimes you just bet on people. I mostly invest in consumer facing startups, especially marketplaces. 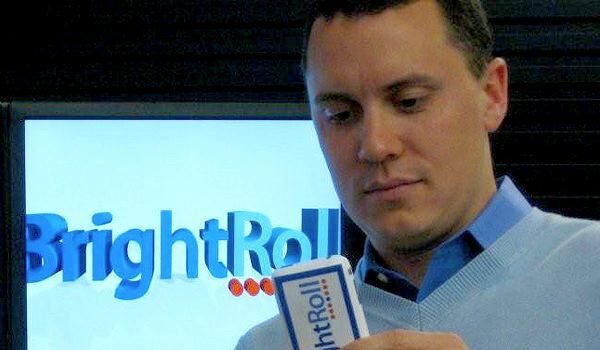 However, in July 2006, my good friend Auren Hoffman introduced me to Tod Sacerdoti who was CEO of POSTroller, a video ad company (which became Brighroll in November 2006). I have to admit I did not know much about the video advertising market and had limited expertise in ad tech. It was obvious that video advertising was eventually going to be big, but I was not sure what the best way to tackle the market was. Fundamentally, I really loved Tod. He was super sharp, passionate, confident, very honest about the status of the company and their market. It was clear to me that he had the grit and tenacity to stick it out and figure out how to make it. I just had to back him! Over the years, as we interacted in more personal and intellectual settings (e.g. ; he hosted a dialoging session I attended on “”How do you live forever?”), I have only gotten to appreciate what a smart standup guy he is, on top of being a passionate entrepreneur. I was fortunate to have liquidity at the time (coming on the back of the sale of Zingy) which led me to make a bigger bet than I usually do. I ended up investing $100k at $4 million pre back in August 2006. Based on the public information it looks like Yahoo bought the company for $640 million, which post-fundraising dilution should turn into more or less a 60x return for me, my most successful exit to date!